This post is brought to you by Smucker’s. All opinions are my own. Back to school is almost here, and things are getting real. My daughter is entering middle school, which is a brand new school for her, and it’s been quite hectic getting everything ready. She’s a bit nervous about switching classes, meeting new friends and generally fitting in. I really don’t blame her because sixth grade is a tough year as there are so many changes— though I’m confident she’ll get through it with flying colors. With all this “newness” going on, it’s comforting to have a delicious staple to come home to when the school day is through. In our home, the classic PB&J is the king of sandwiches — it’s almost like a warm hug; familiar and satisfying! For years my daughter has come home after school and requested a snack. As she’s gotten older the snacks turned into meals, and one of the only things that sustained her until dinner was a PB&J. Now it’s just a tradition to make a PB&J using Smucker’s Concord Grape jelly and Jif Peanut Butter when she gets home. 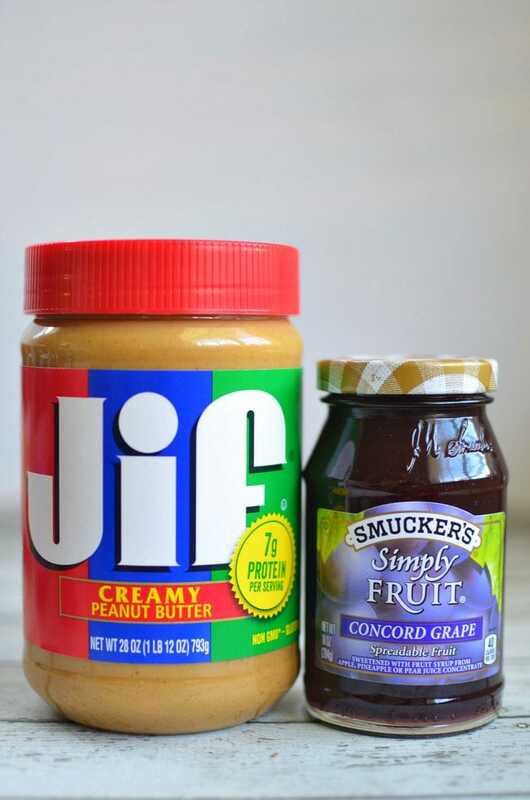 Smucker’s Concord Grape has been her favorite for as long as I can remember — it’s got a ton of grape flavor with just the right consistency for smooshing with peanut butter. 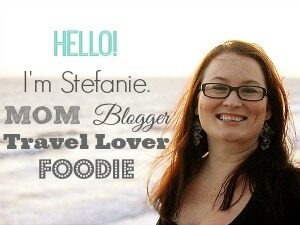 This year I thought I would kick things up a bit by making her a Double-Decker PB&J. She has a ferocious appetite after school, and if there’s anything that’s going to fill her up it’s this! We made a test sandwich this weekend and, I kid you not, we both agreed it was the best classic peanut butter and jelly sandwich we’ve ever had. 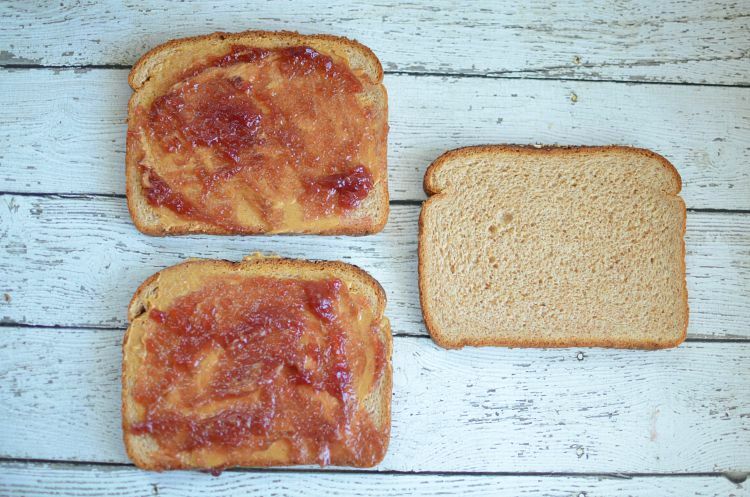 Peanut butter + jelly + extra peanut butter & jelly = a match made in heaven! 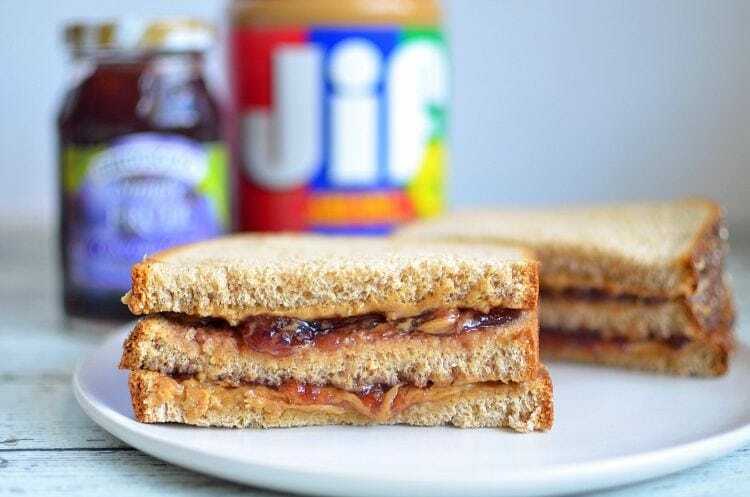 A jumbo take on the classic peanut butter and jelly sandwich. Spread 1 tablespoon of peanut butter onto slice of bread. Top with 1 tablespoon grape jelly. Repeat with second slice of bread. Layer third slice of bread between PB&J slices. Doesn’t it look delicious? Trust me, it is! For more than a century, Smucker’s has been helping to make family meals more memorable. Today, Smucker’s offers a broad range of Fruit Spreads, Ice Cream Toppings, Syrups, Peanut Butters and more, including low sugar and sugar free varieties. 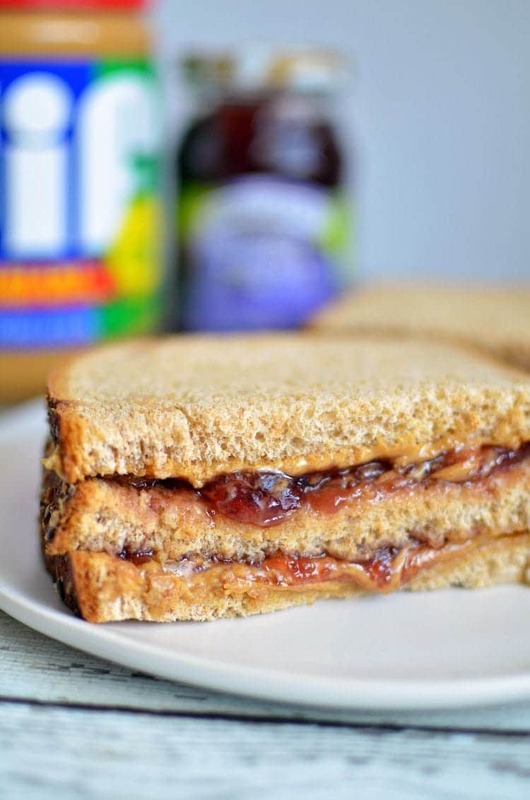 We use Smucker’s on all of our PB&J’s, not just this yummy double-decker! I know I can rely on Smucker’s Fruit Spreads to make the perfect back-to-school lunch or snack. What’s your favorite flavor of jelly for PB&J?